Both residential and business property have to be protected against outside security threats. But business property has the added threat of theft by employees or affiliated vendors. 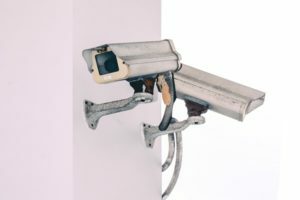 This guide focuses on the types of security hardware available to protect offices, businesses, and any other commercial property from theft. Fire detection systems are also discussed briefly. The burglary of a commercial property will probably net a thief more profit than a home invasion. So highly-professional thieves will be more determined to break into a small business than into a home. For any commercial entry door always make sure to install commercial grade door hardware. Commercial hardware is stronger and harder to jimmy than residential hardware and is better suited to protecting business property. What happens to an electric lock when there’s no electricity? During a power failure the lock is configured to respond in one of two ways: fail-safe or fail-secure. Fail-safe locks need electricity to lock the door. Fail-secure locks need electricity to unlock the door. In the event of a power outage, a fail-safe lock becomes unlocked on the secure (keyed) side. This type is primarily used for stairwell doors in multi-story buildings. The lock will open if there’s a power failure or if a fire alarm system shuts off the power. Anyone who needs to exit the stairwell can then access any floor in an emergency. During a power failure, a fail-secure lock stays locked on the secure (keyed) side. Exterior doors are usually configured to be fail-secure. So the building remains protected on the entry side. Because of panic hardware built into this door lock system, anyone trapped in the building can still exit quickly. The electric strike lock and the magnetic lock are the two most common electronic locks. Both need low voltage wiring in the door frame. Both can be equipped with a keypad, card reader, or biometric data reading device. The electric strike lock can usually be wired as fail-safe or fail-secure. The strike plate itself has an electronically activated hinged metal component which will pivot to allow the door to open without turning the door handle. The magnetic lock can only be wired as fail-safe unless a battery backup system is installed. The armature mounts on the door, and the lock plate is mounted on the header of the door frame. As long as the armature is powered, the door remains locked. When power is removed, the door remains unlocked. This lock has no mechanical components. From a power consumption standpoint, the electric strike uses fewer amps than the magnetic lock. While not a significant cost consideration for a small business with a couple of doors, in a skyscraper these savings must be considered. When your facility has a secure area where both entry and egress need to be controlled, the strike lock (without a panic exit device) is the best choice. In the event of a power failure, no one can enter or exit the building’s secure area without a manual override. Since a mag lock will not stay locked without power, it is not the best choice for a secure area. Electric strike locks have mechanical components that can fail over time. But magnetic locks have no moving parts and are virtually indestructible. If you’re having trouble deciding between the two for an exterior door, install both an electronic strike lock and an electromagnetic lock. Add panic exit devices for both types. And equip your door lock system with a keypad, card reader, or biometric data reading device. This will give you maximum security. Before the days of keycard locks, imagine the nightmare of managing keys to hundreds of rooms in a large hotel. How would you know if a past guest copied a key for a future crime? Keycard locks helped with that nightmare. Access through a door equipped with a proximity reader is made by waving your card in front of the reader which unlocks the door electronically. You can also install a swipe or an insert reader. Keycard locks can be programmed for activation at certain times, certain access levels, or even certain numbers of locks. Cards can be deactivated remotely. But just like keys, cards have to be close to the reader for activation. Considering employee turnover and vendor access, a keycard system provides better security and flexibility than attempting to manage a bunch of keys. Keypad door locks are opened with a code entered on a touchscreen or touchpad. The code can be forgotten—but no keys to lose. The keypad’s code can be changed on a regular basis to secure the door from those with previous access. If someone tries to hack the keypad, an alert can be sent to appropriate personnel. Keypads can be programmed differently for different users, allowing multiple levels of access. But keypads on exterior commercial doors are often exposed to weather, which can cause malfunction. And since keypads need low voltage current, a battery backup is required during a power failure. You can check out this keypad door locks review if you need some help deciding on the model. A biometric lock is activated by a body part scan or voice recognition. Using voice, fingerprint, or facial recognition software, the lock is programmed for each user. This unique data is stored within stand-alone locks, or linked to a control panel in an access control security system. No one has a second thought when using a keypad, keycard, or key to open a locked door. But biometric scans don’t have the same acceptance. If you are considering biometric scanning, think about who will be using your security system. Voice activation is commonly accepted, followed by fingerprint activation. Activation by hand geometry is less accepted. And biometric scans of the face, retina, or iris have a sinister connotation to many people. The editors of Bestreviews.com personally tested several models of biometric locks and shared their opinions in this helpful article. Panic bars are used for a quick and convenient exit through a door. When the bar is pressed an internal mechanism retracts the latch—allowing the door to be opened. When the bar is released, the hardware extends the latch to keep the door closed. A quick look at the panic bars installed on the exit doors of a stadium shows the abuse they take. Consequently, they need regular maintenance for proper operation. Install crash bars on any door through which people might need to make a quick exit in an emergency. A mother trying to escape a fire with a child in her arms might have difficulty turning a knob or lever. But she can, almost without stopping, open a door by bumping a panic bar with her hip. A commercial cylindrical lever lock is a heavy duty version of the lever locks used in residential construction. It can be installed with or without an electric strike and is widely used for exterior doors. If used without an electric strike plate, the lock will have a lever on both sides. In this application, lever locks tend to come apart under heavy use. They need regular maintenance and replacement. When used with an electronic strike, the lock will typically have a keyed lever on the entry side and a panic bar on the exit side. In this application, maintenance is reduced. The panic bar still takes a beating. But the lever on the entry side has limited usage because the electric strike unlatches the door. A commercial mortise lock is installed in a pocket in the edge of a door. It can be installed with or without an electric strike. The installation process is significantly more complex than installing a cylindrical deadlock. So be sure to use a reliable commercial locksmith service. If installed without an electric strike, the door is opened with a keyed lever on the entry side and a non-keyed lever on the exit side. If installed with an electric strike, the exit side is opened by some type of panic hardware. The commercial mortise lock is more reliable than the cylindrical lever lock, and harder to jimmy—a great choice for high usage applications. 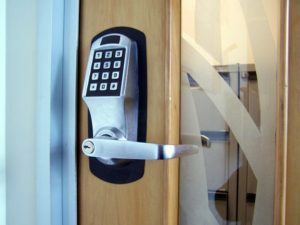 Varying levels of security access for employees can be achieved with either electronic locks or mechanical locks. Restricted master key systems use keyed mechanical locks that need no low voltage power. These locks can be opened by two or more keys. Throughout a facility, each lock has different internal settings depending on the needed level of security. The highest security level—grand master key—will open any lock. The rest of master keys will unlock any lock on their level or below—but nothing on a higher level. This way, employees from different departments can access a number of particular doors within their departments only. Instead of having multiple keys, each employee is issued one key that will open any lock relevant to their security level. This advantage is offset with an increased exposure to lock picking and decoding by criminals. 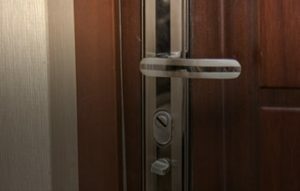 If you are also interested in learning more about residential locks rather than commercial ones, check out our A-to-Z Guide to Residential Door Lock Types. Security in the workplace is becoming increasingly more important. The safety of employees and visitors, the protection of proprietary information, and the protection of the facility itself should be considered in any commercial security system. Many components make up an effective security system. And to design a solution for your business, each component must be understood. Unlike residential security systems, some of which are available in DIY-installation kits, commercial ones are more complex and require the installation to be done by a certified professional contractor, who will place and fine-tune all components, as well as install the wiring. Choose your service provider carefully, reading reviews online or use this directory to pick one from the already selected reputable security system contractors in your area. Access control at its most basic level is about who gets into your facility and who doesn’t. Once inside your facility, the second level controls who has access to what. Access control consists of three basic components—the end-user experience, the administrative experience, and the access control infrastructure. The end-user gains access through ‘credentials’. Credentials are the authorized electronic interactions with locks—such as security badges, biometric scanning, smartphone-based mobile apps. On the administrative side, parameters are set up allowing and denying access within the facility by personnel and visitors. This programming requires some manual data entry but is largely automated via the software. The access control infrastructure consists of the locks, the cabling to the locks, the control panel/software, and the server architecture. 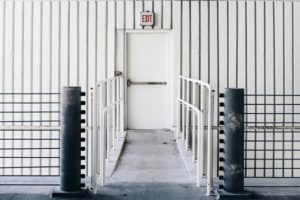 My friend, a seasoned commercial real estate investor and the founder of Property Cashin, shares: “Access control plan is something you need to take care of before opening a commercial facility. For example, when the office is small, it is not a problem to provide each customer with a key. However, for bigger spaces, I’d recommend providing key cards. For the 24/7 access a special software will help you control and track who enters the building and when”. Closed-circuit television (CCTV) systems use analog or HD analog security cameras to send video feeds to a display panel (TV). IP video surveillance systems use IP cameras to send those video feeds. Vendors tend to group the two systems under the same heading—CCTV. Since cameras are usually available in either format, this guide does not differentiate between the two. Just be aware of the differences in both price and image quality when choosing cameras. The video feed—whether analog, HD analog, or IP—is transmitted to one or more display panels. Each screen can display the feed from one or more cameras. In a large facility a CCTV system is usually set up in a separate room with security personnel in attendance. 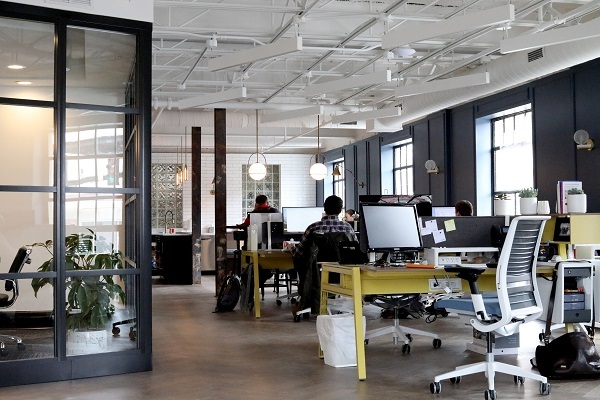 In a smaller facility a CCTV system can be installed in office areas where monitoring can be done by office personnel who have other responsibilities as well. 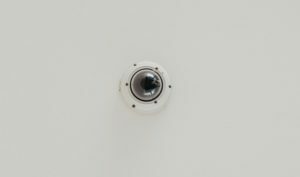 Is your video surveillance system meant for deterrence or supervision? Your answer will determine the type of camera used. 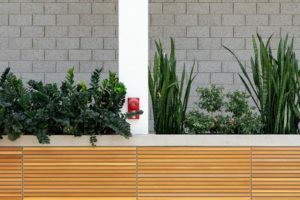 If you want to deter trespassing on the grounds of your facility, prominent cameras will remind trespassers that they are being watched. 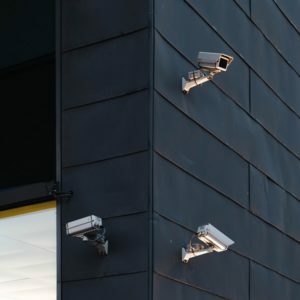 Would-be thieves should be convinced with both signage and highly visible cameras that if they break into your facility, their picture will be taken. Use dummy cameras in conjunction with functioning cameras as a deterrent. Thieves cannot tell, at a distance, if a camera is functioning or not—a good way to reduce the costs of a video surveillance system. Discreet cameras are not meant to deter criminal activity. They are meant to provide real-time information in busy workplace settings. Just make sure the cameras you install don’t alienate the people who help make your business successful. Fixed cameras and PTZ cameras are more highly visible than other camera types. If you want to focus only on one area, choose a fixed camera. If you want the ability to pan, tilt, and zoom, choose a PTZ camera. Fixed cameras can produce very high resolution images. If you need extreme detail in your video surveillance, choose a fixed camera. Keep in mind that thieves may try to find blind areas between your fixed cameras. PTZ (pan-tilt-zoom) cameras allow remote control of the viewing area. With a compatible mobile app this camera can be controlled from anywhere in the world. A single PTZ camera can take the place of numerous standard security cameras. Software is available to program the camera to take ‘tours’ of your facility. Or it can be operated manually. Because of its motion, a PTZ camera is the most intimidating camera type. When surveillance needs to be discreet, both fisheye cameras and multi-directional cameras can offer a 360 degree viewing area from a single camera. The fisheye camera offers a panoramic view in a single image. A multi-directional camera presents different views from the same camera. Dome cameras are usually mounted on ceilings. They are almost unnoticeable—perfect for a discreet installation. Even more discreet are bullet cameras (sometimes called lipstick cameras). Typically about the size of a cigar, bullet cameras are easy to conceal. An intruder alarm (burglar alarm) is a system designed to detect unauthorized entry into a facility. When a threat is detected, sirens in the building will go off—alerting any employees on the premises. And if it’s monitored by a monitoring service company, emergency personnel will automatically be called to the facility. The alarm system can be equipped with window and door sensors that will trigger an alarm if entered by unauthorized personnel. Motion sensors can be installed to detect unauthorized movement inside or outside of the facility. Authorized personnel control the way the various sensors function from one or more keypads installed at entry points in the facility. A perimeter security system consists of various deterrents to unauthorized entry. Perimeter security is the first line of defense for any facility. Fencing is the most common form of perimeter security. Where fencing is prohibited or impractical, bright outdoor lighting is a deterrent to an intrusion under cover of darkness. Whether you use cameras, fencing, or motion detectors remember that good perimeter security keeps thieves out. It’s not meant to record them breaking in. Fire detection systems typically have manual and/or automatic alarms. These initiating devices have a wired or wireless connection to the fire alarm control panel. Manual alarms (pull stations) mount on walls throughout a facility. In case of fire a lever has to be pulled down which activates building sirens and contacts emergency personnel. Automatic heat sensors and smoke sensors will also set off sirens and alert first-responders. Large facilities have special challenges. Multi-level buildings should install an Emergency Elevator Recall System. An EERS will bring elevators directly to the ground floor to keep elevator doors from opening on a floor where a fire is present. Smoke detection should be installed in the building’s air ducts. When smoke is detected fans can be automatically shut off and vents closed. Fire doors can also be controlled from the fire alarm control panel. An integrated security system integrates differing systems into one solution. In an integrated solution there is a common management of all security: environmental hazard protection, burglar alarm and video surveillance can be combined in one system. Integrated systems avoid duplication of equipment and centralize control of the various components of the system. Only one vendor handles the facility’s security. And only one monitoring service is needed. Lastly, here is an additional advice on general measures that will help you increase the security of your commercial or industrial property. You know your business better than anyone else. So when securing business property, decide what needs to be protected and in what priority before contacting a security expert. Combine your thoughts with their experience and put together a plan. Make sure to budget for the highest quality commercial components in areas of heavy usage. Money will be saved in the long run.